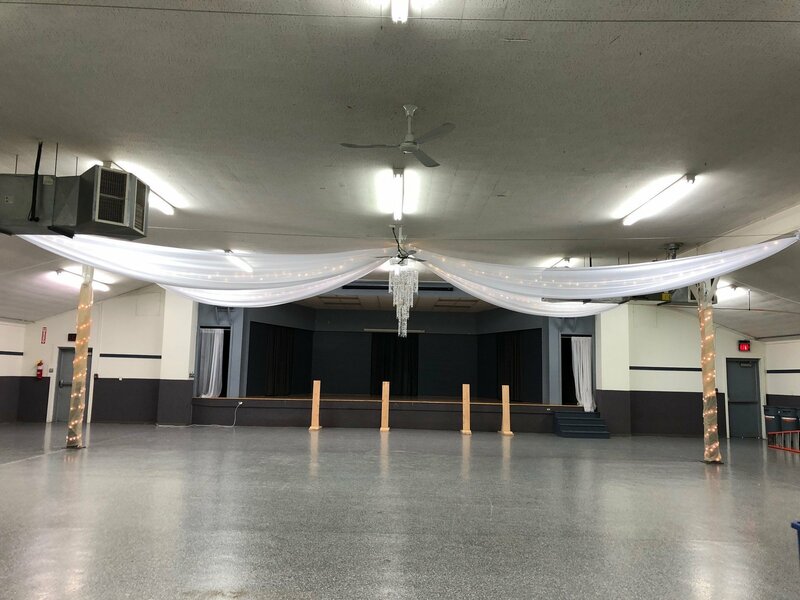 Are you planning a wedding at the beautiful Boone County Fairgrounds? We recently were privileged to help the Plahn family decorate for their daughter's wedding. They choose to accent their decor with white lighted ceiling draping over the dance floor. It was a beautiful touch to their elegant decor. Call for a quote today for your wedding at the Boone County Fairgrounds.